The hustle and bustle of the holidays are upon us! Although I had grand goals as I planned for this month... our time for fun crafting projects keeps getting sabotaged by sickness, grumpiness, and laundry! So, today I am just sharing two short and sweet projects that we did along with an activity to help zap some of the grumpiness that I mentioned. We have read and re-read several of our favorite Jan Brett books this month and have focused on the book Christmas Trolls for this post. Christmas Trolls is about a little girl named Treva who lives in a cute little cottage with her family. As they are decorating for Christmas they notice that their decorations keep disappearing! The little girl goes off to solve the mystery and discovers two trolls named Tig and Mig who needed to learn what Christmas is about. The illustrations in this book are gorgeous and the message was a perfect one for our family this month! The first thing we did this month was make our own yarn troll creations! These can easily just be a fun way to explore with yarn or you can turn them into troll masks to use as you reenact the story. Snip yarn in a variety of sizes. 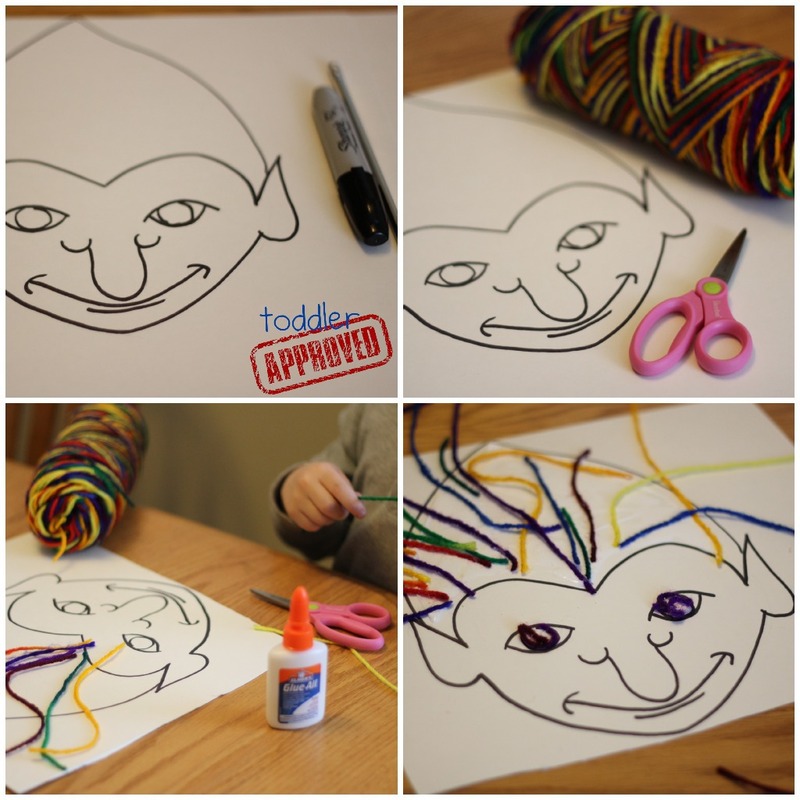 Glue the yarn onto the trolls head to create lots of colorful troll hair! *Cut out once dry and hold it up to your face to create your own simple troll mask! My son's favorite part of this activity was snipping the yarn. He also loved arranging the yarn as hair and making his own yarn eyes. This project was solely about the creation process... not the finished product. Dala horses are traditional Swedish carved and painted wooden horses. In the story, Treva has a special Dala horse that she shares with the trolls (Mig & Tig) to teach them about giving at Christmas. At the end of the story, Mig & Tig made a special horse for Treva. This week we decorated our very own rice crispy Dala horses. Materials Needed: Pan of cooled rice crispy treats, Dala horse printable, scissors, a sharp knife, frosting, and a variety of candies for decorating. Cut out your Dala horse template. 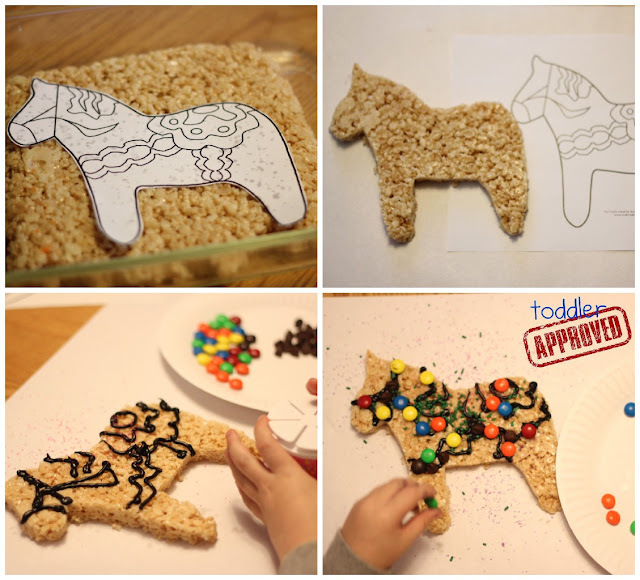 Using a knife and the template, cut around the pattern to make your own Dala horse shaped rice crispy treat. Add some frosting lines on top of the horse and start decorating with candy! Once you're done decorating, eat! Rice crispy treats are my new favorite material to play around with because they are quick to make, yummy, and easy to cut and shape into whatever you want! There has been a lot of grumpiness and fighting at our house lately. In the story, Mig & Tig argued a lot too! While we were reading, my son compared him and his sister to the trolls. We decided that one way to stop the fighting is to start doing nice things for one another. This week each child in our family gets several jingle bells. They are challenged to do secret kind acts for their siblings/parents and then leave a jingle bell behind when they are done. I will be joining in too! For example, if I make my son's bed for him, I'll leave a jingle bell on his pillow. I am calling us the troll pixies. Our goal is to spread kindness all week by finding simple ways to serve one another! What secret kind acts would your kids do for you or each other? Now that we've shared our crafts and activities with you, we're excited to see what you came up with! 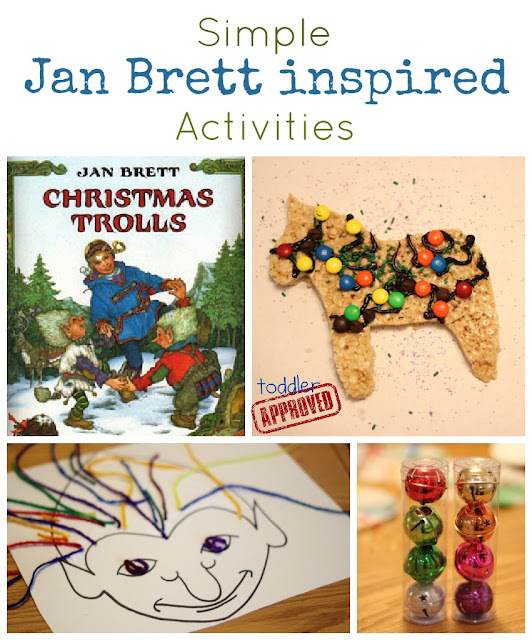 Please add your links to any Jan Brett inspired posts to the blog hop linky below. I love the troll craft!!! We read that one too, and really enjoyed it. D has been making "troll house" forts all around the basement this week. I really like the kindness ideas to replace arguing. Thank you! Love your trolls and your Dala horse. 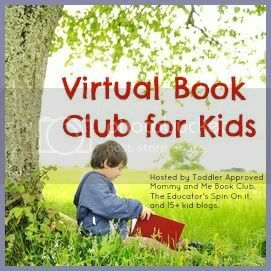 What a fun and inventive way to re-create this book. Thanks for sharing. Do you still have the troll template? ?